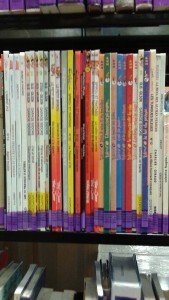 If you like comics, manga, or anime, then LFPL has just the thing for you! 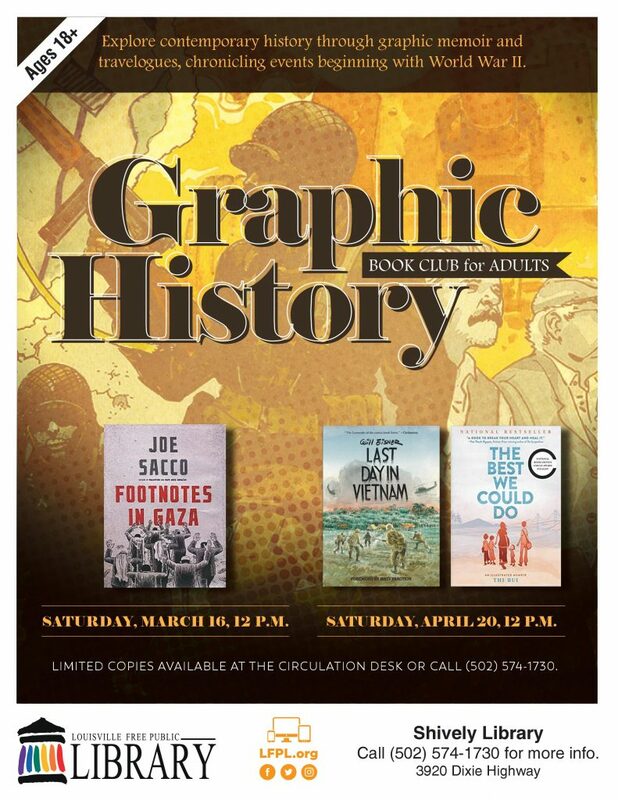 Explore contemporary history through graphic memoir and travelogues, chronicling events beginning with World War II. This is an adult discussion group. Limited copies available at the Shively circulation desk or call (502) 574-1730. 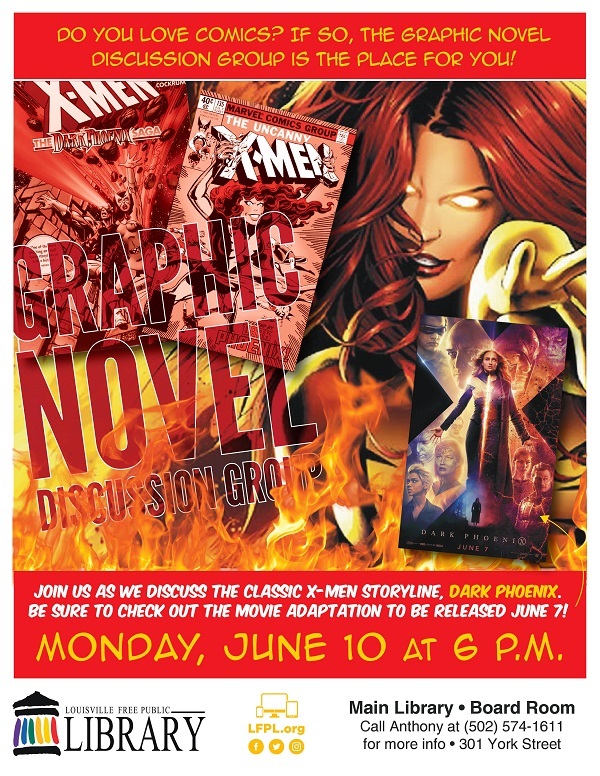 Meets at the Main Library on the second Monday every month, starting at 6:00 P.M.
What is the difference between a comic book, manga, or graphic novel? What is a digital comic? If you wonder about such distinctions, check out our glossary! Biblioboard‘s offerings are primarily comics of the Golden Age (1938-1954) and biographical works of artists and writers. There are also some interesting public domain works from before the Golden Age. Overdrive‘s collection is primarily composed of modern, up to the minute comics from publishers such as BOOM! Studios, DC Comics, Image Comics, and Top Shelf Productions. There are currently over 1,200 free comics that you can view on your computer, tablet, or smartphone! 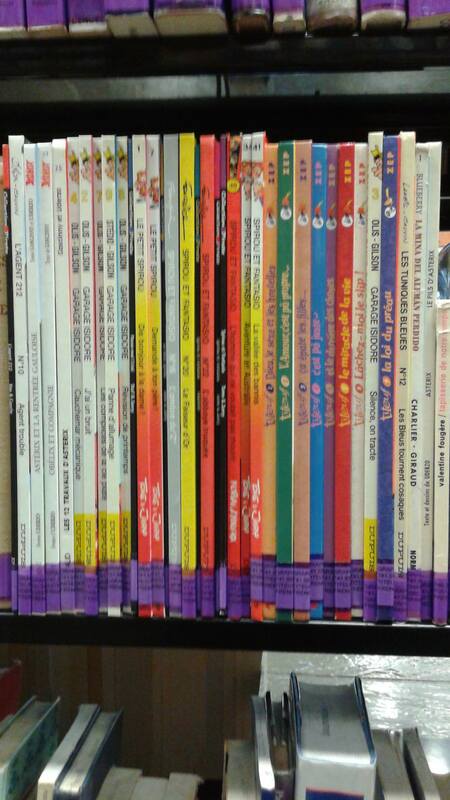 We have comics in other languages besides English! 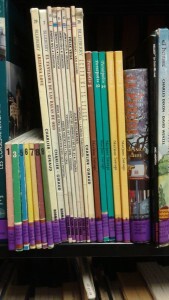 Located in the Main Library’s International Collection. You can browse LFPL’s selections by clicking here. Did you know that even The Mayor’s Book Club has read Graphic Novels? One month The Mayor’s Book Club read Marjane Satrapi‘s Persepolis. The traditional book format – text only – form the majority of the Group’s book selections. As such, the graphic format was a novel departure for many members. 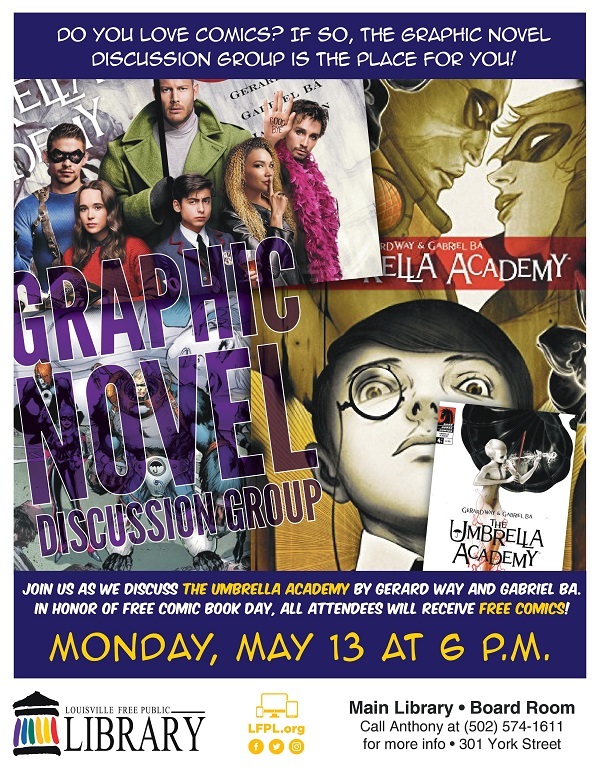 To help particpants who were unfamiliar with how graphic novels work, a short introduction was posted on the book club’s blog, Book Talk. The Club used the Read Your Way Around the World book list to make it’s selection. Two other graphic novels on the list are Gene Luen Yang‘s American Born Chinese and Jean-Philippe Stassen‘s Deogratias: A Tale of Rwanda. Like Persepolis, each tells the story of a unique culture in undeniably powerful ways. Do you love anime? Manga? Japanese culture? Then join one of our Anime Clubs. Check out this list of upcoming programs to find one near you! And check out the Manga and Anime FAQ created by Katherine Skaggs, Library Assistant at the Highlands-Shelby Park Branch!